Crabtree caught three of five targets for 31 yards in Sunday's 36-21 loss to Carolina. Analysis: Crabtree understandably had his lowest targets, catches and yardage totals since Week 4 on a day in which his offense as a whole struggled mightily for most of the game. The 31-year-old has just one week of more than 66 receiving yards on the year and hasn't been the red-zone target he was in Oakland. Nevertheless, the Texas Tech product will try to remedy that in Week 9 at home against Pittsburgh. Crabtree caught five of nine targets for 66 yards Sunday against the Saints. Analysis: The veteran has recorded at least five catches and at least 66 yards in each of his last three games. Crabtree also owns a team-high 30 receptions over that stretch. The drop issues haven't gone away completely, but Crabtree continues to see enough volume on a consistent basis so as to afford him a high floor. He'll face the Panthers on the road in Week 8. Crabtree caught six of nine targets for 93 yards and a touchdown in Sunday's 21-0 win over the Titans. 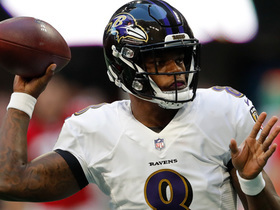 Analysis: Crabtree got the scoring started by hauling in a four-yard Joe Flacco pass for a first-quarter touchdown. It was a night of seconds for the nine-year veteran as he led the team in receiving for the second time on the year while also scoring his second touchdown. He'll try to keep up the momentum Week 7 against the Saints. 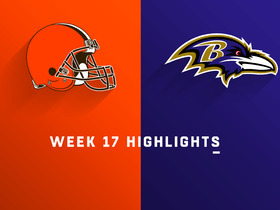 Crabtree caught six of 12 targets for 66 yards in Sunday's 12-9 overtime loss to the Browns. Crabtree caught three of eight targets for 29 yards Sunday against the Steelers. 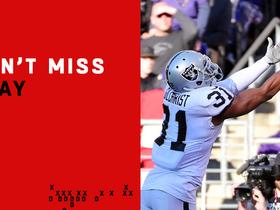 Crabtree caught seven of 10 targets for 61 yards during Sunday's 27-14 win over Denver. 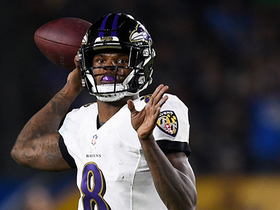 Crabtree secured five of 10 targets for 56 yards in the Ravens' 34-23 loss to the Bengals on Thursday. Analysis: The veteran possession receiver served as an effective complement to the speedier John Brown on the night, and his catch total drew even with those of Willie Snead and Javorius Allen for the team lead. Crabtree has hauled in eight receptions over the first pair of games, providing the type of mid-range presence that he's built his NFL reputation on. He'll look to build on the 16 targets he's already logged when the Ravens face off with the Broncos in Week 3. Crabtree caught three of six targets for 38 yards and a touchdown in Sunday's win over the Bills. Crabtree isn't in uniform for Saturday's preseason contest at Miami, freelance NFL writer Jeff Zrebiec reports. Analysis: Crabtree has reeled off receptions of 29 and 30 yards this preseason, both of them passes from Joe Flacco. If the connection continues into the regular season, Crabtree would be the best bet among the Ravens' new receiving corps to reach 1,000 yards for the third time in his career (and first time since 2016). Crabtree caught his lone target for 29 yards in Monday night's 20-19 win over the Colts in the third preseason game. 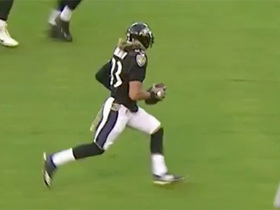 Analysis: Crabtree found real estate along the left sideline to give Joe Flacco his longest passing play of the night. Their connection helped set up a touchdown to cap Baltimore's third offensive drive. 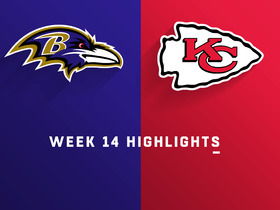 With he and John Brown now in tow, the Ravens have finally upgraded their starting receiving duo, and both players made strong impacts Monday. 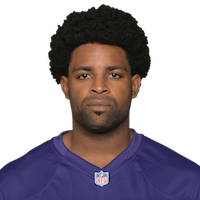 Crabtree isn't in uniform for Thursday's Hall of Fame Game versus the Bears, freelance NFL writer Jeff Zrebiec reports. 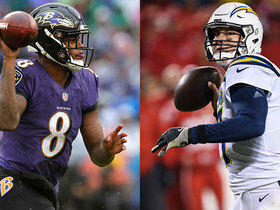 Analysis: In the wake of the Ravens' offseason overhaul at wide receiver, Crabtree is the consensus pick to serve as Joe Flacco's No. 1 option in 2018. That said, Crabtree, along with John Brown and Willie Snead, won't see the field Thursday. 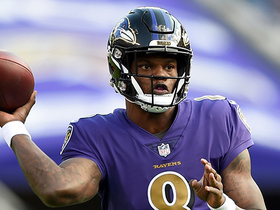 Ravens quarterback Joe Flacco suggested that Crabtree has stood out most among the team's new wide receivers during OTAs, Jamison Hensley of ESPN.com reports. "[Crabtree's] the guy," said Flacco. "Because he's got a little different way that he runs the routes. 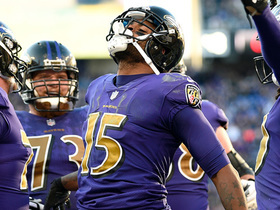 He's really crafty with it, and he knows when to break away from guys and how to get open"
Crabtree has signed a three-year, $21 million deal with the Ravens, Adam Schefter of ESPN reports. Crabtree is visiting the Ravens on Friday, ESPN.com's Jamison Hensley reports. The Raiders will release Crabtree, Adam Schefter of ESPN reports. Analysis: With Crabtree on the way out, the Raiders will parlay the resulting cap savings into a deal that will bring former Packers wideout Jordy Nelson to Oakland. While not a burner, Crabtree was productive enough during his three-year stint with the Raiders, logging 25 TDs in that span. His catch total dipped to 58 in 14 games this past season, but in the right situation in terms of volume, Crabtree -- who combined for 174 catches in 2015 and 2016 -- could re-emerge as a PPR factor in 2018. Crabtree's future with the Raiders is uncertain, even after general manager Reggie McKenzie suggested that the wideout is part of the team's plans, Michael Gehlken of The Las Vegas Review-Journal reports. Analysis: Oakland may want to retain the 30-year-old wideout, but that doesn't necessarily mean the team is willing to keep him around at his 2018 salary of $7 million. Coming off a season in which he managed just 6.1 yards per target, Crabtree may be asked to accept a pay cut, or at least some form of restructure. The Raiders plan to retain Crabtree for the 2018 season, league sources informed Vic Tafur of The Athletic Bay Area. Crabtree caught two passes on as many targets for 17 yards in Sunday's 30-10 loss to the Chargers. He finishes his 2017 campaign with 58 receptions (on 101 targets) for 618 yards and eight touchdowns in 14 games. Crabtree (hamstring) isn't listed on Wednesday's injury report for Sunday's game against the Chargers, Michael Gehlken of the Las Vegas Review-Journal reports. Crabtree was bothered by his hamstring during Monday's 19-10 loss to the Eagles, Michael Gehlken of the Las Vegas Review-Journal reports. Analysis: This helps to explain why Crabtree was held without a catch on three targets and saw limited playing time in the second half. Another update should be available Wednesday afternoon when the Raiders release their initial injury report for Sunday's game against the Chargers. Crabtree was targeted three times and didn't catch any passes in Monday's 19-10 loss to the Eagles. Crabtree caught seven of 17 targets for 39 yards and two touchdowns during Sunday's 20-17 loss to the Cowboys. Crabtree caught seven passes on 13 targets for 60 yards in Sunday's 26-15 loss to the Chiefs. Crabtree (suspension) was reinstated to the active roster Monday. The NFL reduced Crabtree's suspension from two games to one Tuesday, Adam Schefter of ESPN reports. Crabtree was suspended Monday two games without pay for violating the league's unsportsmanlike conduct and unnecessary roughness rules, Ian Rapoport of NFL Network reports. Analysis: Crabtree got into an altercation with Broncos cornerback Aqib Talib on Sunday that resulted in punches thrown by both players. Talib was also suspended two games, though it's likely both will appeal. If the suspension stands, Crabtree will miss Week 13 and Week 14 -- the first week of the fantasy playoffs in most formats. Seth Roberts figures to step into the starting lineup in Crabtree's absence. Crabtree was ejected from Sunday's game against the Broncos, Vic Tafur of The Athletic Bay Area reports. Crabtree caught six of 11 pass attempts for 51 yards in Sunday's 33-8 loss to the Patriots. He also converted a two-point attempt. 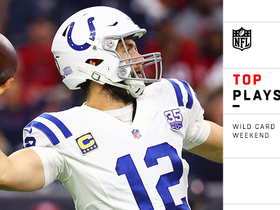 Analysis: While he led the team in receiving yards and targets in this one, he has only eclipsed the 60-yard mark once since Week 5 and hasn't scored a touchdown since Week 8. Still, he remains David Carr's favorite option through the air, and as such will at least be a solid option in PPR leagues. The 30-year-old has a difficult matchup against Denver's elite secondary Week 12 but has a slew of better opportunities in the weeks following.